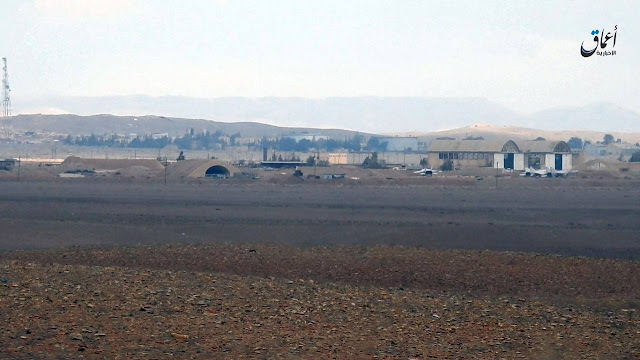 Yesterday, 19th Dec., a SyAAF Gazelles was shot down by ISIS fire in T4 AB surroundings taking into account that since late 2014 a pair -at least- of Gazelles were deployed from Mazze AB to the T4 and housed inside the maintenance hangars as mentioned in my previous post. The Gazelle was piloted by Brig. 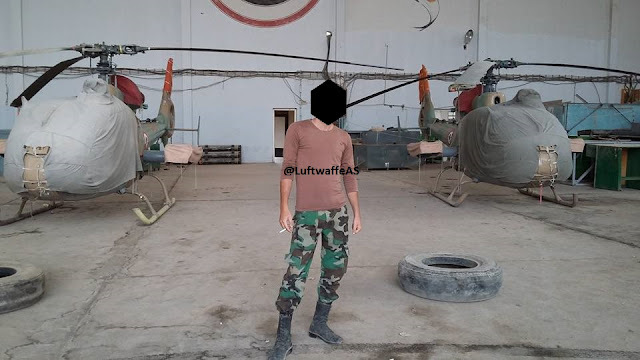 Gen. Khedr Al-Hussain "العميد خضر الحسين" and Major Abbas Yunes "الرائد عباس يونس", both were KIA. 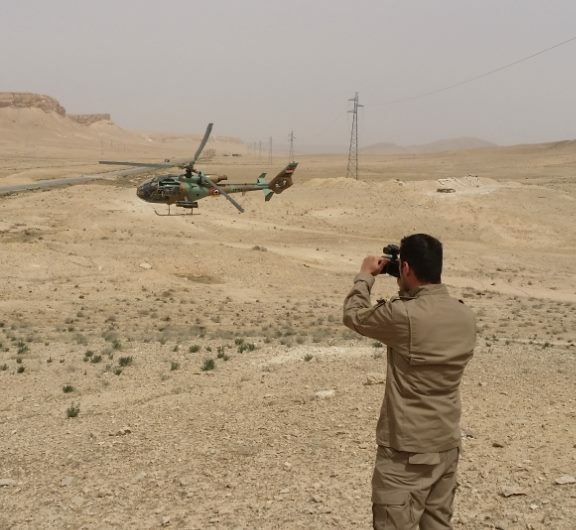 I need to draw your attention here that some pro-regime media claimed the death of Major Amer Ibrahim due to the crash of his helicopter at the surrounding of the airbase which is false. New video published by ISIS videoed from the south western part of the T4 airbase and shows how close the ISIS fighters got. 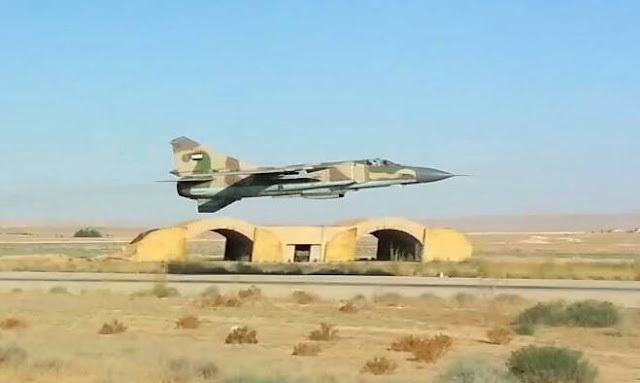 MiG-25s are scattered everywhere around the airfield as can be seen in aerial imageris, may be 2 or 4 PDS interceptors are still air worthy while the others has been decommissioned since years. 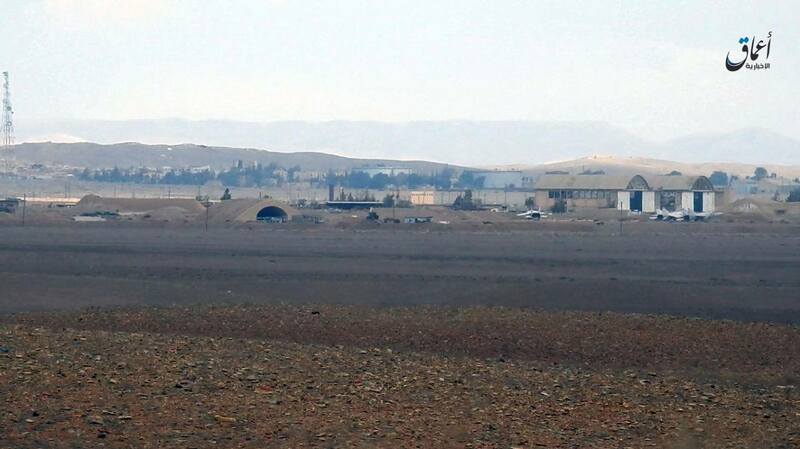 The maintenance hangars are in sight and could be an easy target to ISIS fire; SyAAF shouldn't worries about whether Su-22M-4s and Su-24M2s are inside but for the Gazelles which are housed in. It's good to mention that the south western HASes in this airbase house the Su-22M-4 squadron. Today, a SyAAF MiG-23 operating from Sh'eirat AB and piloted by Col. Thabet Ismail (العقيد ثابت اسماعيل) is reported crashed in Hayyan field in eastern rural of Homs governorate; the pilot ejected and was recovered. Pro-regime media refers the incident to a "Technical Failure" while ISIS are claiming the shot down. It's good to mention the aircraft in question should be either MLD (23-18) or MLD (23-22) as both variants operate from this airfield. 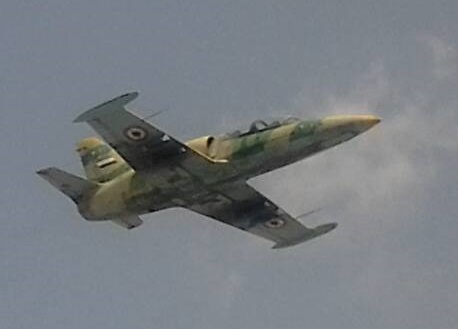 Yesterday, 3rd Dec. 2016, a SyAAF L-39 operating from Neyrab AB and piloted by Lt. Col. Ja'far Abboud Hasan (المقدم جعفر عبّود حسن) and Capt. Tarek Mwaffaq M'alla (النقيب طارق موفّق معلّا) was reported crashed nearby the citadel of Aleppo. With no party claims shooting down this aircraft with solid evidence the crash most likely occurred due to a technical failure; both crew are KIA.